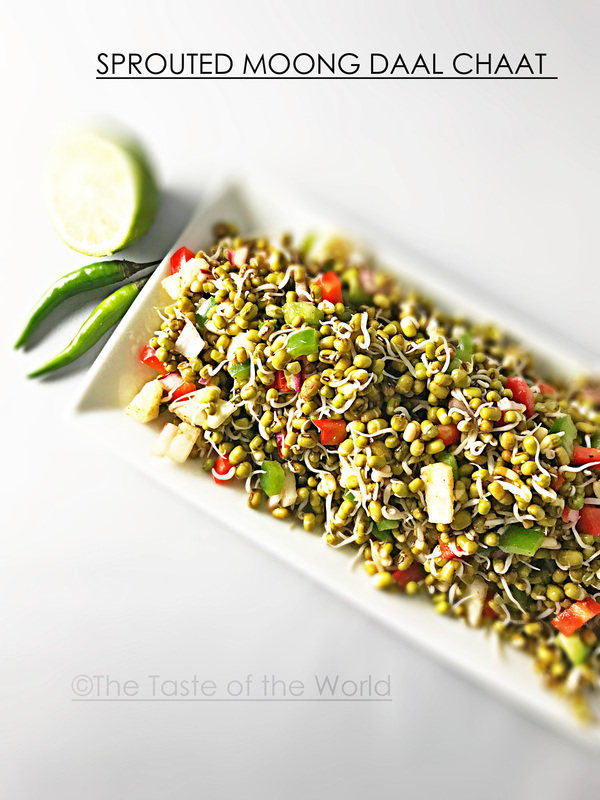 Sprouted Moong Daal Chaat, another healthy snack from my kitchen. Are you all into chapata stuff? I am for sure. You can give me anything chatpata and I will enjoy it any time of the day. It is one of the popular recipe which can be prepared ahead of time if you want to serve it for a get together. I am sure you all have heard that sprouted beans are good for your health. Let's look at the benefits of sprouted moong daal. Moong beans/daal are high in protein, low calorie food which is also high is dietary fiber. These beans are also full of vitamins, minerals, and nutrients and has a very low glycemic index which helps in blood pressure and blood sugar levels. I made this the other day for Karaoke night at my husband's uncles house. Appreciated by everyone there which made me happy. This can be an awesome picnic snack as you can keep it in the cooler to keep it chilled and there is no hassle that it can't be eaten without warming up. So come on, lets dig in to the recipe which is very simple and I promise you will love it. Soak the daal for almost a day then put the dal in muslin cloth for a couple of days. Make sure you sprinkle water at least 2-3 times in a day to keep them moist. You will see the sprout coming. Wash them before mixing anything. This time I used them without steaming. You can steam it in the microwave with a little bit of water and salt for 5 mins. If steamed, let it cool down and then add chopped onions, cilantro, green chillies, cubed cucumbers. Add salt, red chilli powder, chaat masala, lemon or lime juice. Mix everything well. Put it in the fridge for a couple of hours. It will taste better if it is chilled. Your comments, likes, dislikes, matters to me. Thank you for stopping by!! 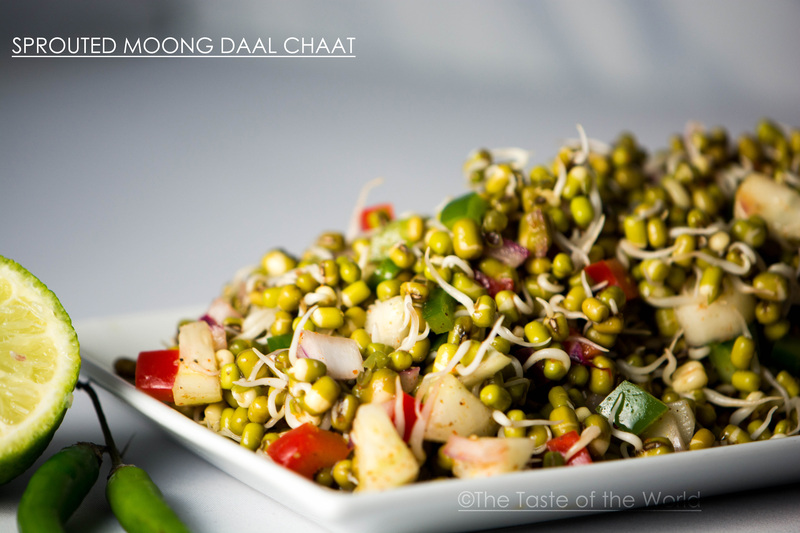 Sprouted Moong Daal Chaat is a healthy snack option for everyone who is diabetic, suffering from blood pressure or looking to loose weight. 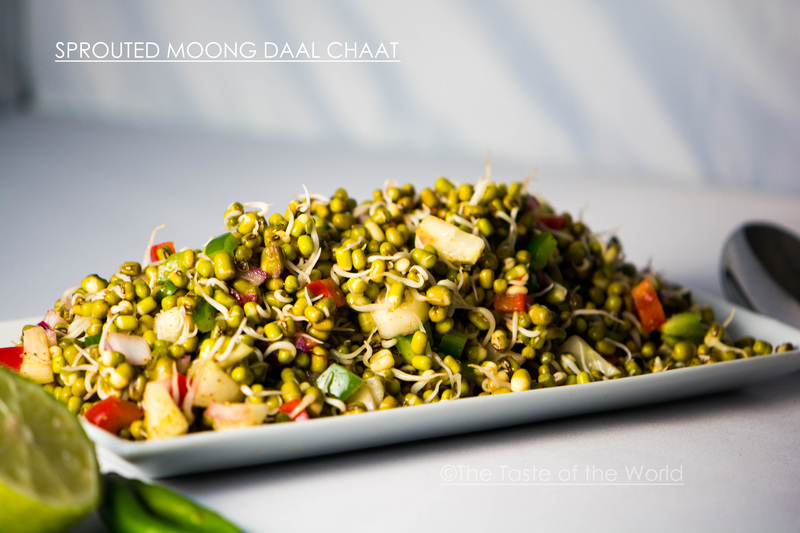 3 Responses to "Sprouted Moong Daal Chaat"
Thanks Jacquelin. Do share your feedback when you give it try. Would love to hear from you..